The Pro-Fill On-Board Battery Watering System is specifically designed for use with golf carts. 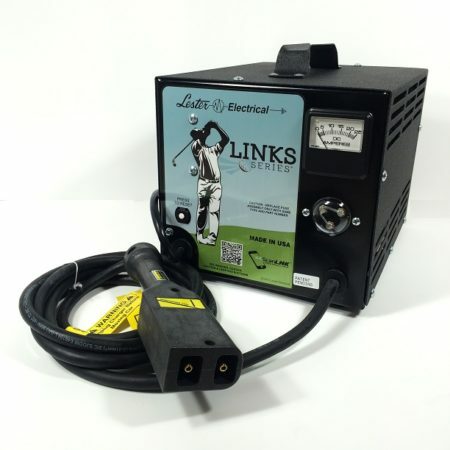 Though the Battery Watering system is not limited to just golf carts. Any golf cart style battery ( Traditional Lead Acid Batteries) also found in boats and RVs, Solar systems, electric floor sweepers and floor scrubbers and even pallet jacks. Based on the same technology as our industrial Millennium Plus+ valves, our Pro-Fill system is compatible with all of our Millennium water supplies. 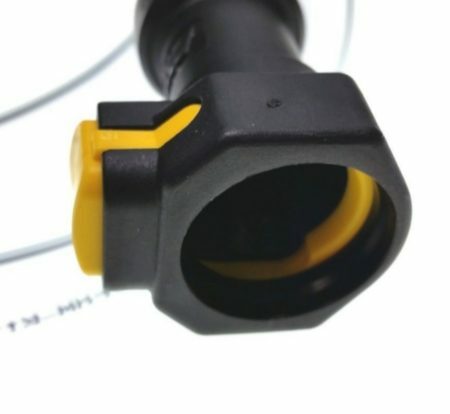 The Pro-Fill on-board battery watering system works by replacing the battery’s existing vent caps with valves that are interconnected with tubing, allowing the user to fill all cells of the battery from a single remote location. Snap on/snap off water connections turn the often ignored task of watering batteries into a quick, simple task taking 30 seconds or less! Each valve independently shuts off water flow to the cell when the proper electrolyte level is reached, allowing the batteries to be filled perfectly every time without having to look at the batteries. Here are basic instructions with a illustration of how to top off your battery system with the Pro-Fill Battery Watering System. Be the first to review “Pro Fill Hand Pump For Battery Watering System” Click here to cancel reply.